This is one of those “I wish it weren’t here” entries. 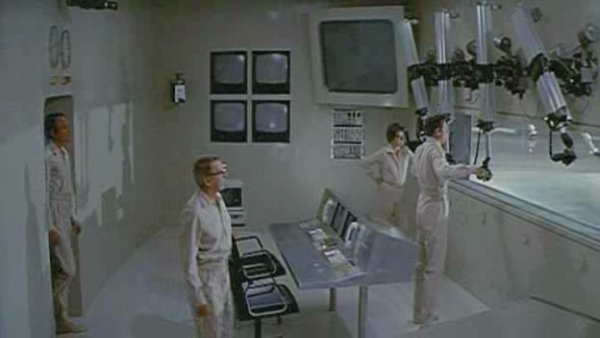 The fact that 1971’s Andromeda Strain is considered scientifically accurate and even remotely plausible should scare the living hell outta you. The premise is simple: US government uses a satellite to capture what they believe to be an extraterrestrial virus, said satellite crashes into New Mexico town, everyone in aforementioned town dies. Why is that relevant to this article, you ask? Because everything we know (and theorize) about bacteria and pandemics and the origins of life indicates that this could really happen. We know that bacteria actually can survive the deadly vacuum of space. We know that space flight can actually alter the structure of bacteria, turning it into a more infectious and deadly pathogen.